FC Barcelona will contest the two-match sanction given to Luis Suárez by the Competition Judge at the Appeal Committee. 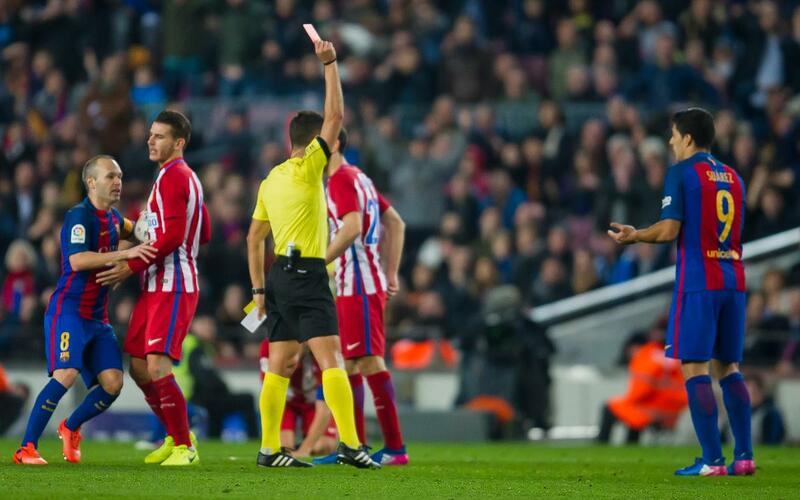 The punishment comes following the two yellow cards shown to the Uruguayan in quick succession in the final moments of the return leg of the Copa del Rey semi-finals against Atlético. The argument in favour of overturning the decision is based on the fact that the Barça player didn’t make “frightful” contact with the opposition player as the referee’s report states. In other news, the Competition Judge has rescinded the yellow card shown to Sergio Busquets in the last few minutes of the match against Atlético Madrid.